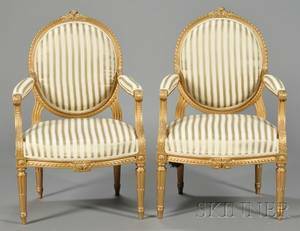 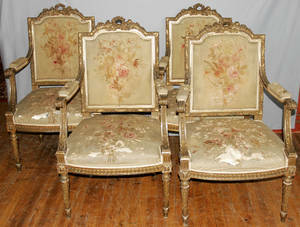 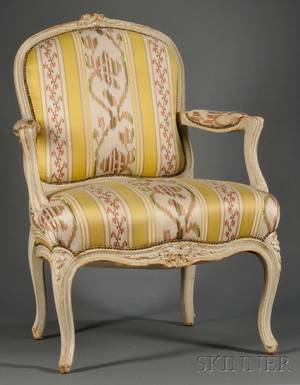 French, fourth quarter 18th century. 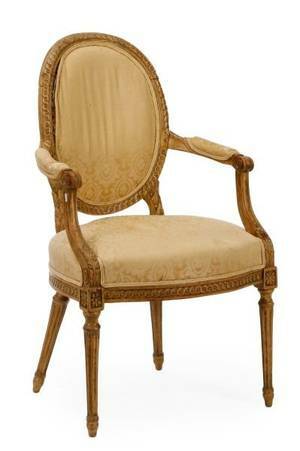 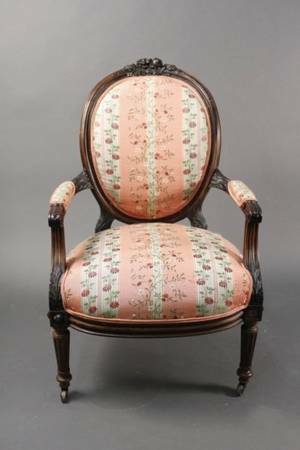 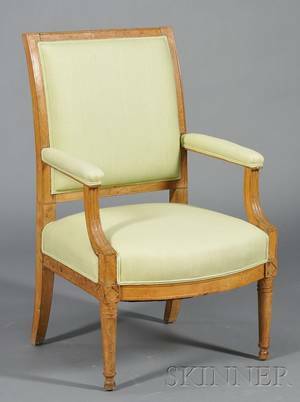 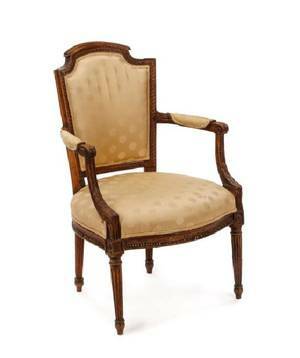 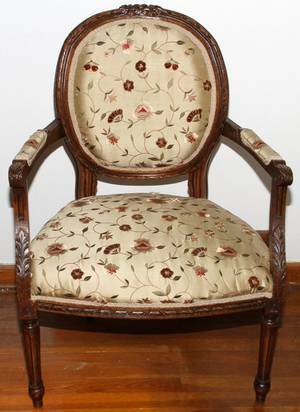 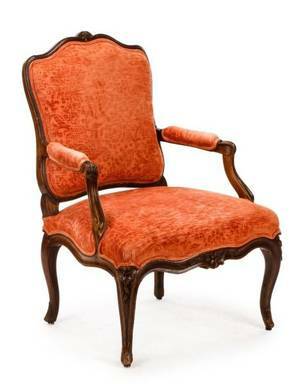 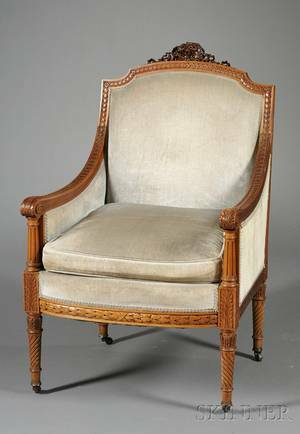 Louis XVI beech wood carved fauteuil la reine having a oval padded back surmounted with pierced carved ribbon cresting, the scrolled arms with padded rests enclosing the serpentine padded seat centered with carved ribbon raised on turned tapered and stop fluted legs headed with patera blocks. 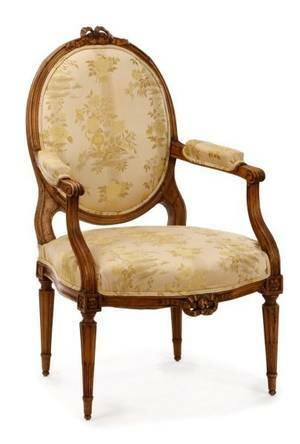 Approximate height 34.3", width 24.25" (arm to arm), seat depth 18", seat height 15.5".